There’s news on the web that cosmologists have proven the existence of negative mass. The news is based upon an article that recently appeared on the preprint arxiv, and has not yet been peer reviewed. The article in no way proves the existence of negative mass, but rather demonstrates the theoretical possibility of a form of negative mass within general relativity. In other words, it is an interesting “what if” paper rather than applied astrophysics. Usually when we talk about the mass of an object we think of it as a basic property of an object. Mass is always positive in quantity, so negative mass must be the same thing but opposite. But in fact there are three types of mass than an object can have. Theres’s inertial mass, which determines how easy or difficult it is to move an object; passive gravitational mass, which interacts with a local gravitational field (and determines the weight of an object), and the active gravitational mass, which creates the gravitational field. 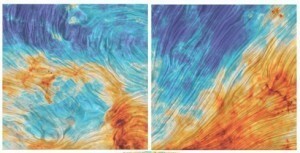 In this paper the focus is on negative active mass, so that it creates a repulsive gravitational field. Various forms of negative mass are sometimes referred to as exotic matter, and they are often invoked to create science fiction things like warp drive and wormholes. Of course this leads to effects such as time travel and violations of relativity and causality. For this reason (and the fact that we’ve never observed anything with negative mass), this kind of repulsive gravity matter is considered impossible. In general relativity we often describe what is possible for matter by what are known as energy conditions. One of these is known as the dominant energy condition, which basically requires that matter doesn’t move faster than light, which is a big no-no in relativity. What the authors of this new paper have shown is that negative matter can be described in general relativity without violating the dominant energy condition. From this, they’ve found a solution within general relativity that looks like a negative mass object within an inflating universe. It is basically a “toy model” within general relativity. This doesn’t in any way prove (or even suggest) that negative mass exists. It is interesting, though, because it models an inflating universe such as might have existed in the earliest moments after the big bang. It even makes a prediction, though not a very satisfying one. 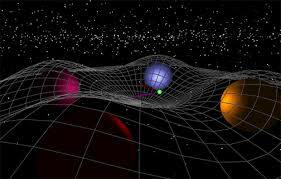 If the early universe were filled with a sea of both mass and negative mass, then gravitational waves could be damped. If the BICEP2 results are found to be false, and Planck also fails to detect primordial gravitational waves, then negative mass could explain how inflation could exist even though we don’t see primordial gravitational waves. Of course, using the lack of evidence for gravity waves as evidence for inflation and negative mass is hardly scientific. But again, this is a “what if” paper, pushing the limits of theory to see what useful ideas might come out of it. Paper: Saoussen Mbarek and M. B. Paranjape. Negative mass bubbles in de Sitter space-time. arXiv:1407.1457 [gr-qc] (2014).